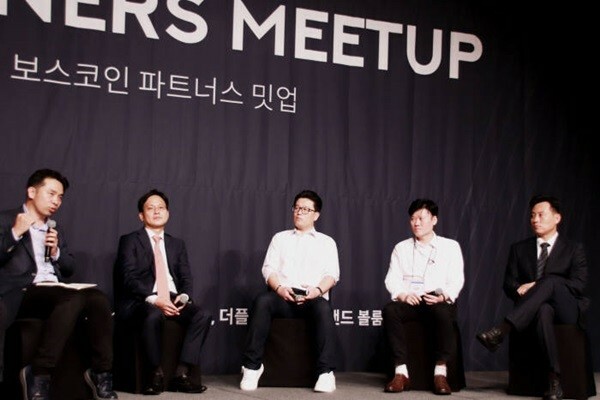 BOSCoin (CEO Choi Yae-joon) held a ‘BOSCOIN Partners Meetup’ Event along with 4 companies that were selected as reverse ICO (Initial Coin Offering) partners and they introduced their project to 380 South Korean institutional investors and communities. BOSCoin finished making source of Testnet public and is in the final stage of development of ‘BOSNet’, which is the Mainnet. Along with this development, it selected reverse ICO companies such as PayExpress, Korea Cashback, Forbiz Korea, and Nature Mobility that will perform financial procurement project within BOSNet. If they raise $447,000 (500 million KRW) as initial business funding on their own during a pre-ICO stage, they can receive funding up to $447,000 and secure total of $894,000 (1 billion KRW) as initial fund. They will be carrying out ICO afterwards and will receive advices on necessary technologies and be supported with blockchain technology. After they carry out ICO, they will be carrying out their businesses within BOSCoin’s Mainnet and funded additional business funds through public financing.